You have no doubt heard of Microsoft Dynamics 365. Several announcements coincided with the Microsoft Worldwide Partner Conference in July, including a well-quoted LinkedIn post from CEO Satya Nadella. Since then, there have been several articles by analysts and industry observers to explain what Dynamics 365 is, what licensing will be like, and how current Microsoft Dynamics customers can transition. Unfortunately, some of these are more confusing than necessary. If you have been around long enough, you may remember that Microsoft already had plans to unify and simplify all of Dynamics fifteen years ago, when the solutions were still new to the company’s brand. Dynamics 365 could make a lot of people’s lives easier. They include the application users, planners, and purchasing decision-makers in businesses, their IT managers, and the technology providers who help companies implement the solutions and fine-tune them to meet specific business requirements. If you are used to complex, all-in-one ERP systems and the traditional separation between CRM and ERP, Dynamics 365 is a breakthrough for the industry. You can in a modular manner acquire and use the workload functionality you need, such as sales. Work with it on its own, or, for instance, together with operations. The confusing distinction and duplication between, for example, CRM as a module in Microsoft Dynamics AX and Microsoft Dynamics CRM itself falls away. Eventually, many of us will forget whether a functionality came from old-school ERP or CRM, and be amazed that this ever mattered as much as it did. At the same time, the business apps become cloud-enabled on Microsoft Azure, which means they benefit from the scalability, robustness, and service economy of the cloud, discussed in detail on this blog. A common data model makes it easy to connect Dynamics 365 apps with many other software tools. They can become intelligent, because you can use them together with Power BI or the Cortana Intelligence Suite. 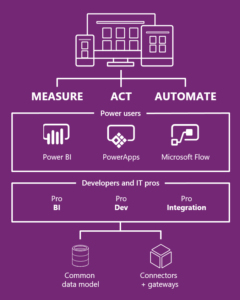 Business customers can have a greater role in making technology effective for their organizations, because they can build PowerApps without having to use Pro development tools. They can connect systems and data sources that are already present, and publish their apps online and in mobile environments. You can easily connect Office 365 productivity tools to Dynamics 365 and work with your preferred tools. Microsoft Flow makes Dynamics 365 even more versatile and controlled. You can create automated workflows that connect your apps and services for many different scenarios, for example, to receive notifications of transactions, operational events, and communications, or to manage files and content. You can try out, download, and purchase apps created by Microsoft partners for Dynamics 365 from AppSource, where you can expect to find offerings from To-Increase. We welcome the simplicity and modularity of Dynamics 365, and so will many of our customers. To-Increase solutions like Advanced Discrete Manufacturing have been modular for a long time, with a deep focus on delivering exactly the workloads customers need. Whether it is engineering or asset management we have been workload- or line of business-centric for many years. Beginning later this year, Dynamics 365 will become available in different editions and plans. Between now and Summit 2016, which happens October 11 to 14 in Tampa, Florida, there will likely be additional announcements, and you might want to watch for updates during the conference as well. I look forward to any synergies Microsoft might exploit between Dynamics 365, Office 365, and LinkedIn, which the company acquired recently. 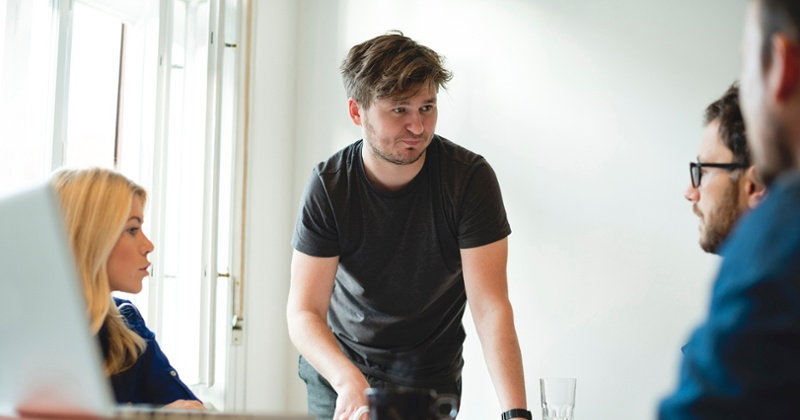 I also think Dynamics 365 and the full realm of complementary technologies will make it more affordable and practical than ever for smaller, growing businesses to scale their technology tools as their requirements change. How do you feel about this news? I’ll be happy to discuss Dynamics 365 or other business concerns with you. Please get in touch with me or simply contact To-Increase.